I assisted customers purchasing sport apparrel and memorabilia, cleaned up and stocked the sales floor as needed. I first started at Burger King in high school, 1995, and worked summers while attending Michigan Technological University. After graduation I took a job in the insurance industry until my husband lost his job. When returning to Wisconsin I went back to the franchise and quickly advanced to assistant store manager. Duties included but were not limited to: supervising various shifts, inventory management, overseeing cash and deposits, payroll and employee scheduling, and employee training. 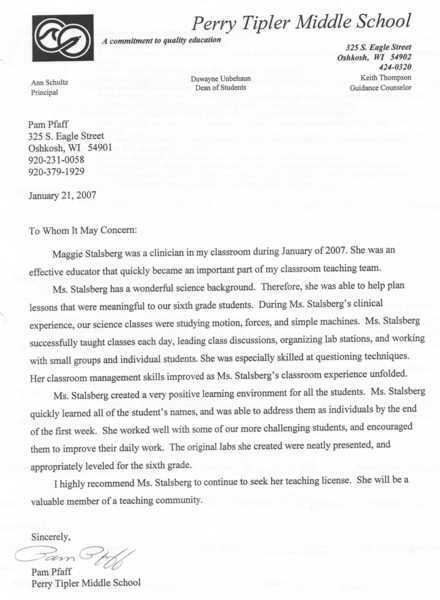 Susan observed me working in the high school environment 3 times throughout the 9 week placement and observed me in the middle school on two occasions. We also met outside of the school to work on pre-PDP and other university portfolio/graduation requirments. I worked with Jody while substitute teaching at Waukesha North in the Spring of 2009. Jody interviewed me for the position, worked with me through my transition and watched a number of my classes while I was at North. I worked with Jean for at least 2 years (2001-2003) at her store in Menasha before moving on to other stores in the franchise for assistant manager training. 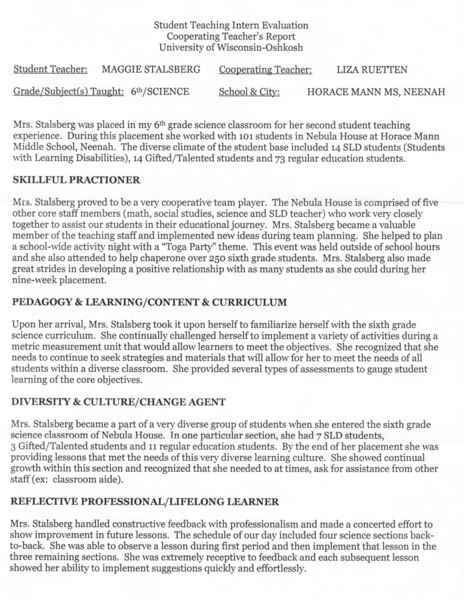 Liza was my cooperating teacher for the 9 week middle school placment in the 5 teacher Nebula House team at Shattuck. 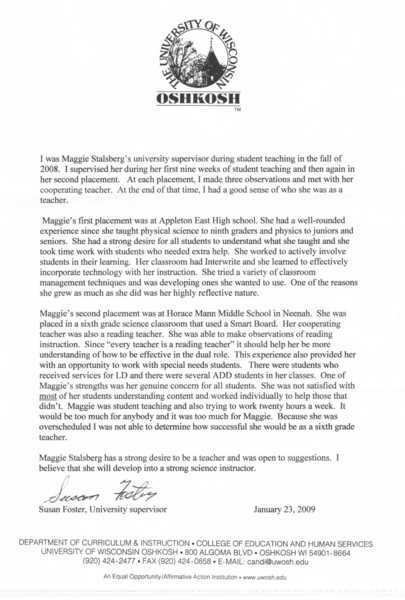 We taught 6th grade science, planned a school wide activity and carried out a field trip she had planned to the EAA museum in Oshkosh. Dale was my cooperating teacher in the 9 week high school portion of student teaching. We worked closely with the rest of the science team at East and taught physical science as well as physics.